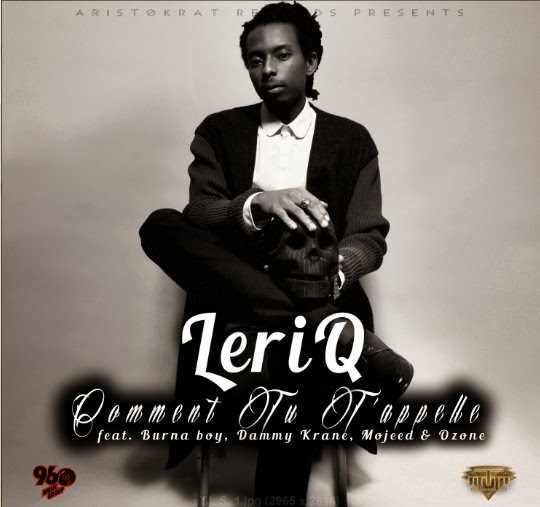 Aristokrat Records Presents LeriQ; “Comment Tu T’appelle” featuring Label mates Burna Boy, Mojeed and gas with a special Guest appearance by Hypertek’s Dammy Krane. Produced by TLS. LeriQ’s Album is gonna drop within the second quarter of 2014 featuring 2face, M.I., Wizkid, Illbliss, Efya, BEZ amongst others into his world to make a dateless album that’s bound to alter the sound of the Nigerian/Africa music scene. Look out for the video for Comment Tu T’appelle and additional singles from T.L.S. Listen and Share.